All Keys Piano Service specializes in piano tuning and care. Through a commitment to genuine craftsmanship, we are dedicated to providing quality service at an affordable price. 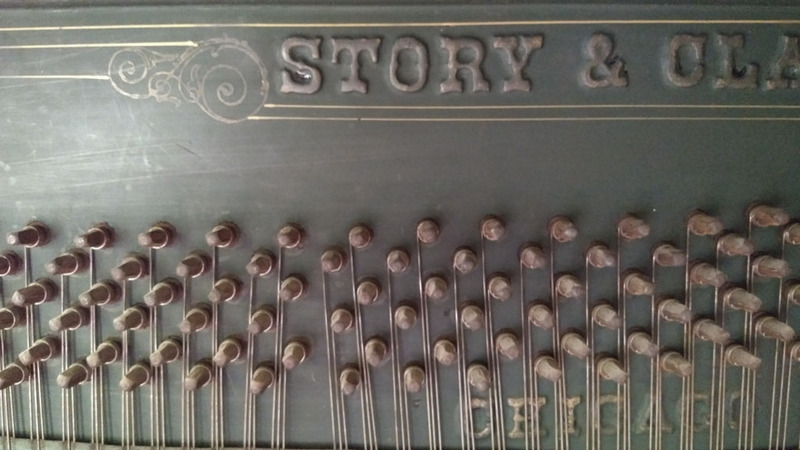 The swings in humidity from the change of seasons are the largest contributing factor to a piano falling out of tune, in addition to heavy playing and moving. Manufacturers recommend tuning a piano 2 to 4 times annually, but we provide a discounted rate for a piano that is routinely tuned at least once a year, and a further discount for six-month tunings (recommended). This service visit will typically last 1.25 to 2 hours and will leave your piano sounding brilliant and fresh. Any recurring issues can be addressed in this appointment also and recommendations will be made for future improvements. Yearly and six-months reminders will be sent to you to schedule routine tunings. 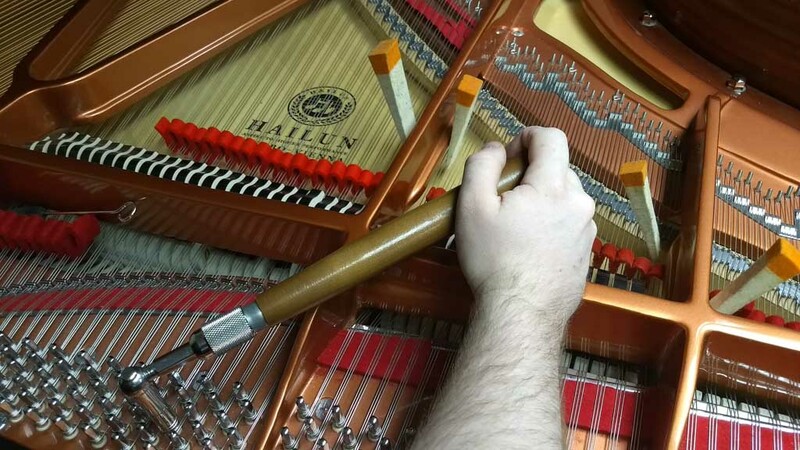 The more you keep up with tuning your piano the better it will sound on a consistent basis! Typically a piano that hasn't been serviced for several years will need a "pitch-raise". This is a procedure where the overall tension of the strings is at first roughly raised and then a normal precise tuning is performed. It takes slightly longer than a standard piano tuning. 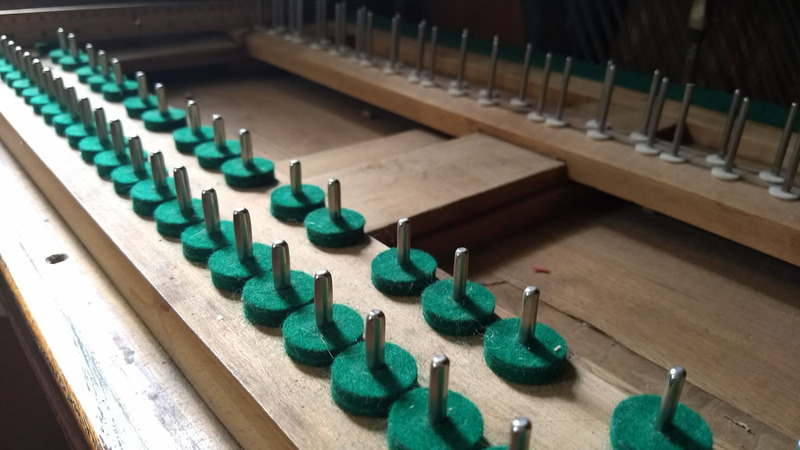 Additionally, many pianos that have been out of service for several years have typical small issues such as a few sticking keys or bobbing hammers. I'll rectify any small mechanical issues you may have with this initial servicing. This appointment will last approximately 2 to 2.5 hours. Further services can be estimated on a case-by-case basis, please get in touch. cash, check, and credit card accepted (check preferred). All Keys Piano Service is Sam McUmber, RPT. "RPT" means Registered Piano Technician. It is a certification facilitated by the Piano Technicians Guild. To become an RPT you must pass a series of written, technical, and tuning examinations which test your knowledge and skills in the field of piano technology. This is the highest certification offered among piano techs. Sam is a Northwest Pennsylvania native and current resident of Pittsburgh, PA. He graduated in 2006 from Carnegie Mellon University with a degree in Piano and German. Sam was mentored in Piano Technology by Peter Stumpf, RPT, at Carnegie Mellon, who also provides piano service to the Pittsburgh Symphony and the University of Pittsburgh. 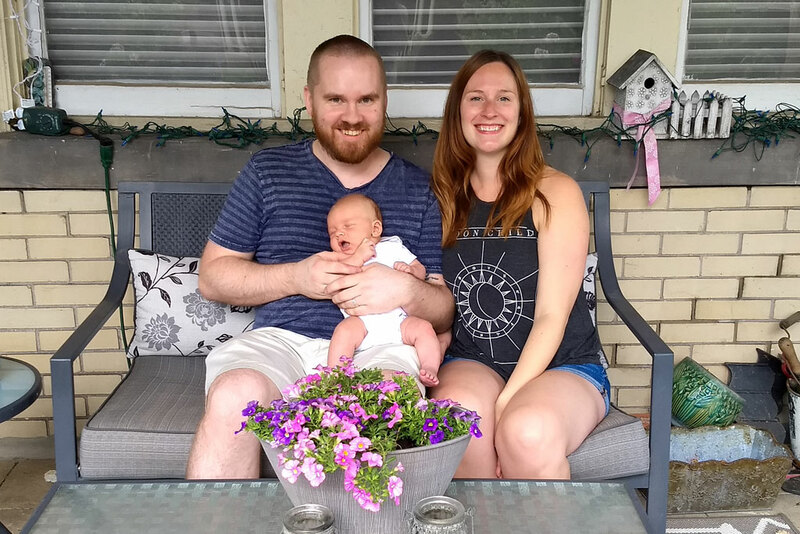 Additionally, Sam was mentored by Randy Mangus, RPT, of Wheeling, WV, and apprenticed under Tom Budjanec of Piano Forte in Ambridge, PA.
Sam lives a full life with an amazing wife and son, two rambunctious dogs, and two affectionate cats. He loves to work on pianos and hopes to spend a lifetime making instruments sound beautiful and feel wonderful.